Two years ago, the Chamber set out to more fully understand the experiences developers encountered when they moved projects through the City of Duluth's Planning & Construction Services Department. We subsequently interviewed individuals who had shepherded building and expansion projects through City Hall. -makers the candid feedback they needed to champion additional positive change within the City's review and approval process. This story has a happy ending. We were able to affirm the increasing number of positive encounters experienced by developers. This article is one way that we are concurrently heralding the City's successful efforts to improve its process for advancing projects through its approval, licensing and inspection protocol. The City's and Chamber's shared, ultimate goal is to enhance the likelihood that future building projects will be reviewed amid a more predictable and encouraging process. There is more good news. Additional Chamber members from the: contracting, engineering, architecture, commercial realty and property management communities will soon share their experiences in moving projects through the City's approval process. Mayor Larson; Heather Rand, the City's new Director of Economic Development; and Keith Hamre, the City's Director of Planning and Construction Services have graciously arranged to meet with these developers. We will meet in March. I applaud Mayor Larson and her talented team for welcoming feedback from these customers, served by the City's Planning & Construction Services Department. The insight they gain will be helpful as they lead the planned update of the City's 2006 Comprehensive Plan and the City's 2011 Unified Development Code. 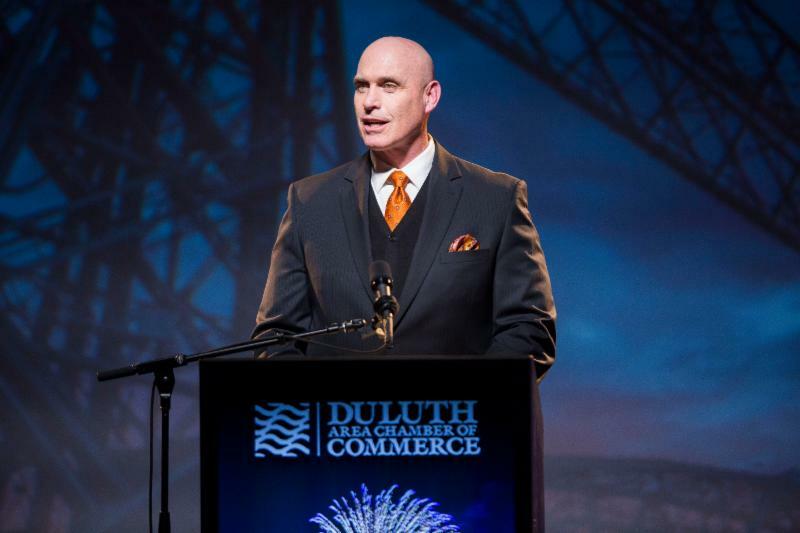 The Chamber's leadership will continue to partner with Mayor Larson's team to communicate to our community that Duluth is a business-friendly place to advance development projects that will enhance our Zenith City.